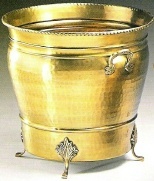 Solid Brass Planter with gently hammered antique finish and cast brass feet. Diameter 16" x 16" measured across square top opening. Height 14" (overall). Width 11" x11" measured across bottom. Detailed cast brass handles, cast feet, cast trim, and unique scalloped design beautifully compliments antique and traditional furnishings. 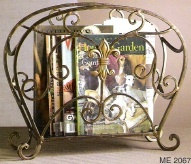 Planter is square in shape with scalloped corners. Lacquered to resist tarnishing. 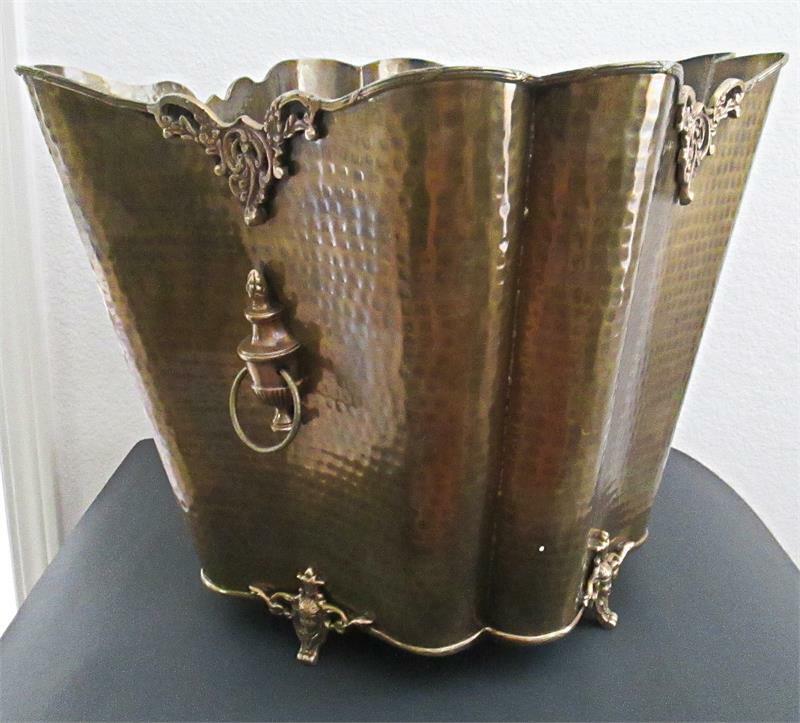 Dimensionsm weight, or finish can vary slightly as each piece is hand made. 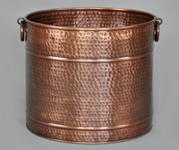 Rugged solid brass construction for residential or commercial use. 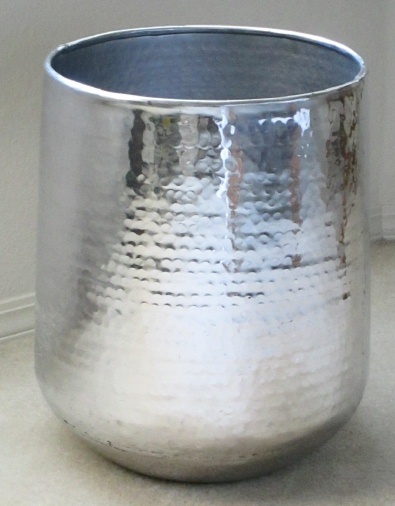 This planter is also available in a smaller size see "R168 Planter."